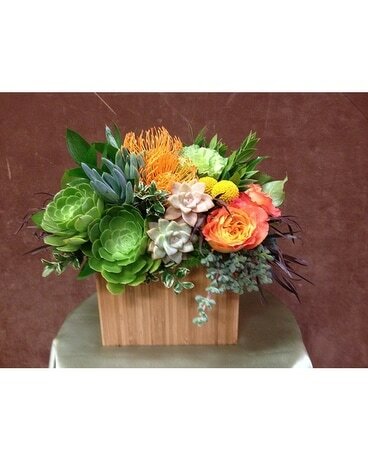 A very unique blend of florals & succulents. 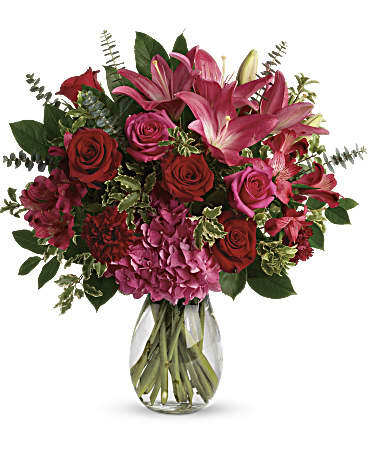 A seasonal mix of unique floral elements, such as, pincushion proteas, craspedia balls, bi-color ecuadorian roses and other unique product combined with an assortment of unique succulents and seasonal foliages and herbs. 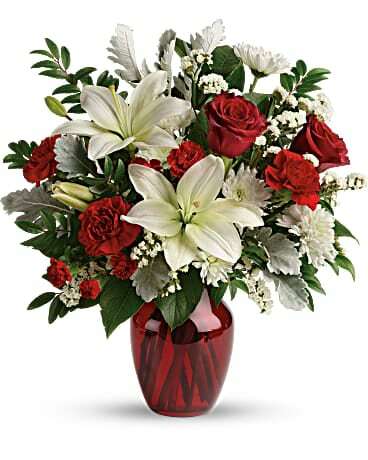 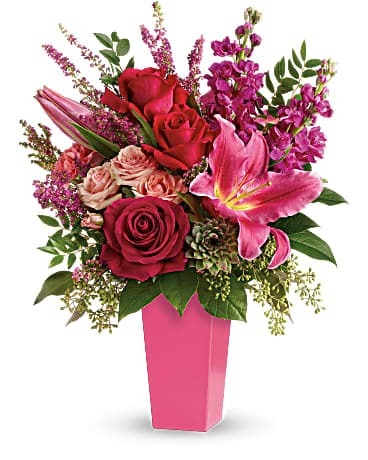 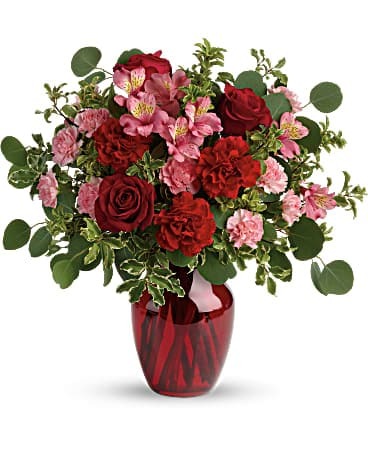 Arranged low and lush in a Teleflora bamboo box keepsake.